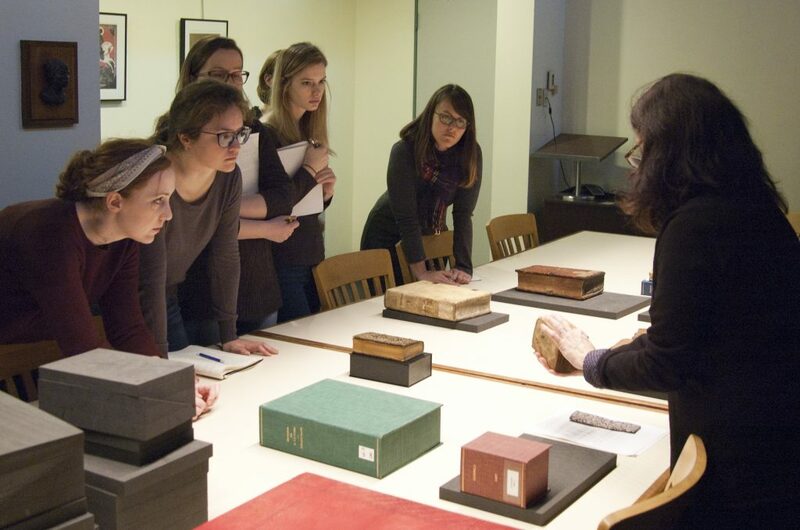 In keeping with our “long view” of the Columbia University Libraries and their collections, we should consider the steadily evolving history of the Conservation Program at Columbia. 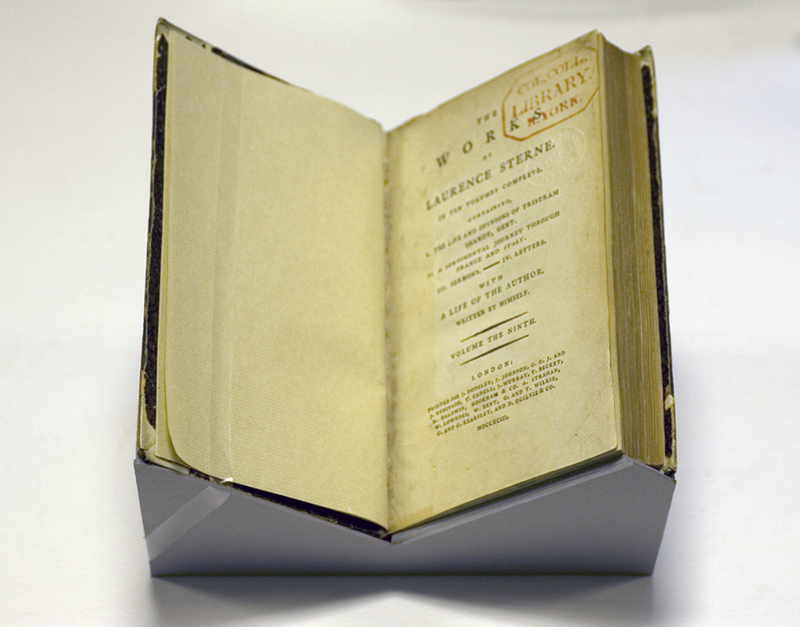 The first professional conservator was hired at Columbia in the 1980’s, but we know that the University maintained a book bindery since 1912, when Columbia’s library was in its first home on the Morningside campus in the Low Memorial Library building. Conservation staff members still use some large pieces of equipment that came from that first workshop in Low. But a conservation department is not a bindery. How are we different? 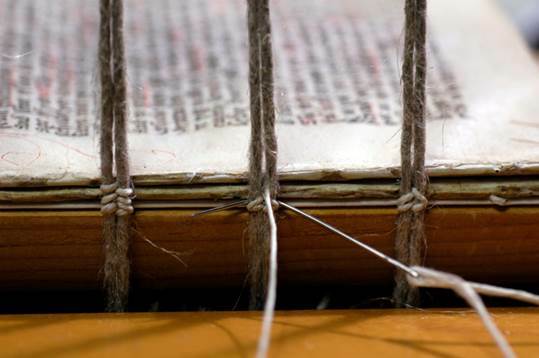 Mastering the techniques of bookbinding is only a starting point. We also need to know all about the chemical make-up of the materials themselves – things like paper, leather, pigments, adhesives – so that we can understand how both new and ancient substances will change as they age, and use this information to prevent deterioration. 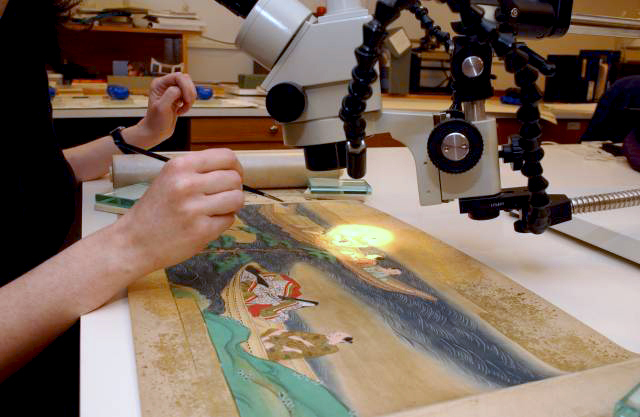 Aside from treating books, prints and manuscripts, we must know how to safely handle and care for the many other kinds of formats, such as paintings, costumes, and artifacts that find their way into libraries and archives. While bookbinders of earlier centuries learned a regional or local set of skills and practiced them repeatedly, library conservators work with collections spanning many centuries and cultures, and so must know as much as they can about the practices the binders in all these times and places may have employed. Because we study materials and craft techniques, we have a unique perspective on the books and documents that students and scholars encounter in our libraries. By sharing what we know, we become, in a sense, the “reference librarians” for the physical aspects of the objects in our collections. Perhaps the biggest distinction between the 1912 bindery in the old library building, and the Conservation Program in Butler is that our workplace is no longer confined to one room, but extends to every part of the Libraries where our collections are studied, handled and stored. From our desktops in the lab, we monitor the environmental conditions in fifty separate locations around the campus and communicate with engineers when adjustments are needed. Together with staff throughout the Libraries, we look for ways to make handling delicate materials safer and easier, whether in the process of returning ordinary books to the circulation department or while displaying a Babylonian clay tablet to a visiting class in the rare book room. And, we are delighted that our work is essential to the important ways the Libraries bring their collections into public view: through exhibitions at Columbia and elsewhere; digitization projects that require us to stabilize fragile materials; and in classrooms where we use the collections to teach about bookbinding and manuscript production. We look forward to future posts when we can describe our favorite projects as they arise! This entry was posted in Conservation on July 17, 2017 by Alexis Hagadorn.